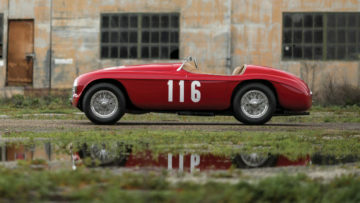 A matching-numbers 1950 Ferrari 166 MM Barchetta that participated twice in the Mille Miglia is on offer at the RM Sotheby’s Amelia Island 2017 sale. RM Sotheby’s revealed its final highlight for the forthcoming Amelia Island 2017 sale: an exceptionally pure, matching-numbers 1950 Ferrari 166 MM Barchetta, chassis no. 0058 M. The Ferrari participated twice in the Mille Miglia race in Italy in the 1950s. The car is in concourse condition and has been displayed five times as Pebble Beach and multiple Platinum awards at the Cavallino Classic, FCA National Meet and Concorso Italiano. As a confirmation of the quality of cars RM Sotheby’s will offer at the Amelia Island 2017 sale, this Ferrari is likely to be only the third most-expensive car in the auction despite a pre-sale estimate of $8,000,000-$10,000,000. The 1950 Ferrari 166 MM, chassis no. 0058 M, (Est. $8,000,000-$10,000,000) comes to market an exemplary example of the model, and one of the most important and beautiful Ferraris ever built. 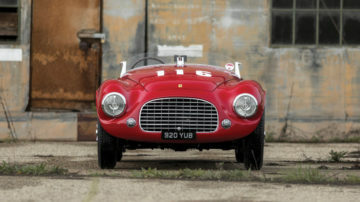 The 27th of just 32 166 MM examples, and the 23rd of only 25 Touring barchettas, it was delivered to its first owner of record in June 1950, before being gifted to future Scuderia Ferrari racing driver, Eugenio Castelotti, who would race the car at many of the leading events throughout Italy, including the Mille Miglia in 1951. 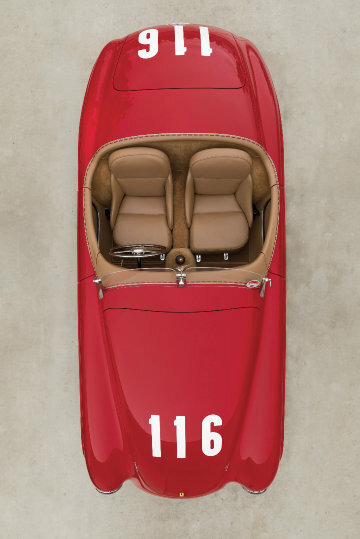 Chassis 0058 M returned to the Mille Miglia in 1953 before being exported to the United States where it continued its racing pursuits, including at the Pebble Beach Road Races. In addition to its competition pedigree, 0058 M boasts a distinguished ownership record, having been carefully maintained by some of the hobby’s most discerning collectors, including more than two decades with respected Ferrari Club of America Chief Judge, Ed Gilbertson. During his custodianship, Gilbertson actively enjoyed the car, presenting it at a string of FCA events to great acclaim. Over the years, 0058 M has also enjoyed a decorated concours career, including no less than five appearances at the Pebble Beach Concours d’Elegance, where in 1979, it was awarded the coveted Hans Tanner Trophy. Testament to its incredible originality, it has also garnered multiple Platinum awards at the Cavallino Classic, FCA National Meet and Concorso Italiano. Beyond its provenance, 0058 M’s extreme desirability lies in its incredible purity and authenticity. Extraordinarily original, it is matching numbers throughout, including its original Touring body, V-12 engine, gearbox and differential, and comes to Amelia Island complete with the all-important Ferrari Classiche certification. “The 166 MM is, unequivocally, one of the most important sports cars ever constructed; it is essentially the cornerstone on which Ferrari built their successful formula, or if you like, the padrino of all the short-block based competition cars that followed, from the 195 and 212 Exports to the 225 S, the 250 GT Tour de France and Testa Rossa. As such, its significance in the marque’s history cannot be overstated,” says Shelby Myers, Car Specialist, RM Sotheby’s. Gooding sold two Ferrari 166 MM berlinettas in 2016 for $5.5 and $6.5 million. 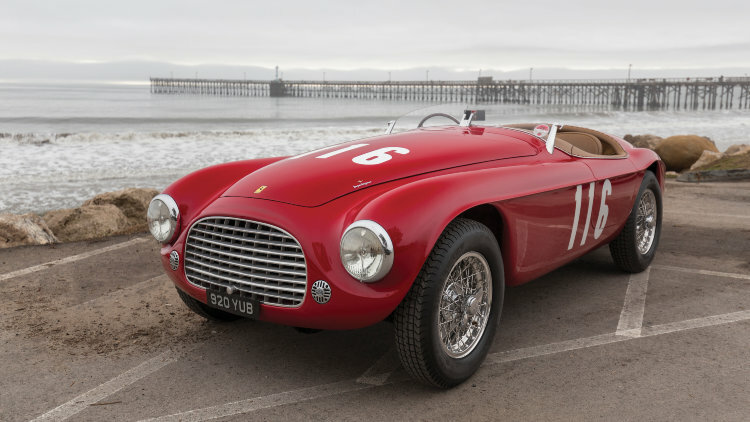 A barchetta sold for $3.5 million at the Artcurial Paris 2014 sale.